Toshiba recently started to ship its single-platter 1 TB 2.5”/7 mm hard drives in the HDD market for notebooks. The drive is based on Showa Denko K.K.’s (SDK) 9th generation perpendicular magnetic recording (PMR) platters that have never been used for any products before. The main feature of the new generation is increased areal density, which enables 1 TB 2.5” platters and up to 1.8 TB 3.5” platters. This opens the door for the next-gen nearline PMR HDDs with up to 14 TB capacity sometimes in 2018. Toshiba is the first customer of SDK to use its latest 1 TB 2.5” PMR media inside the single-platter MQ04ABF100 hard drive. The drive has a 128MB cache buffer and features a 5400 RPM spindle speed. The 2.5”/7 mm drive is aimed at inexpensive laptops that require a lot of storage. Toshiba officially introduced the drive in late September. PC makers like Lenovo have started to add its support to BIOSes of some PCs, indicating that actual shipments of the HDD have either started, or, are about to. Previous 2.5”/7 mm drives such as those from Seagate (ST1000LM048) and Western Digital (WD10SPZX) used platters based on shingled magnetic recording (SMR) technology with all its associated performance peculiarities. While the launch of a PMR-based 1 TB 2.5”/7 mm HDD is important, the potential of the 9th generation PMR does not end here. Since 2015, Showa Denko has found a way to increase areal density of its 9G PMR media, SDK's 3.5" 9G PMR platters now have capacity of up to 1.8 TB. According to SDK, 9th generation PMR media for 3.5” hard drives will have capacity between 1.5 and 1.8 TB. Typically, platters of the same generation produced by SDK, Seagate, and Western Digital have similar areal density with some minor differences. Therefore, we can expect the 9th gen PMR technology from the aforementioned HDD makers to feature similar capacities. Showa Denko plans to start mass production of its 9th gen PMR 3.5” media in early 2018, but, neither Seagate nor Western Digital (who produce their leading-edge platters in-house) have announced their timeline for similar discs. Typically, production schedules for advanced media also tend to be very similar for various makers, but we do not have any official data in hand right now. Today’s top-of-the-range enterprise-class 3.5” HDDs from Seagate and Western Digital can store up to 12 TB of data. They are based on eight 8th generation PMR platters featuring ~1.5 TB capacities. Toshiba is a little bit behind its rivals with their 10 TB units featuring seven 8th gen platters with 1.43 TB capacity. 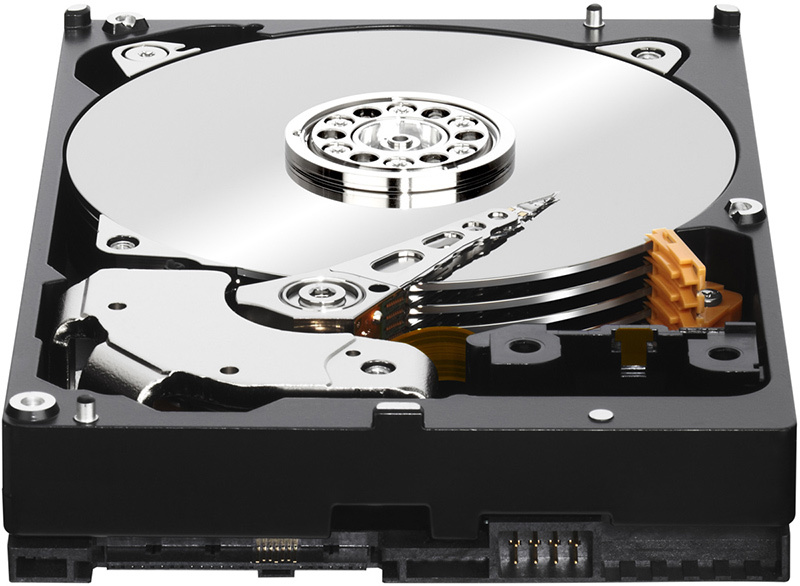 With the arrival of the 9th gen PMR platters in 2018, hard drive makers will be able to increase the capacities of their eight-platter models to 14 TB, while designs with seven platters can go up to 12 TB. It is interesting to note that Seagate has been talking about 14 TB models for a while, without any concrete public details. 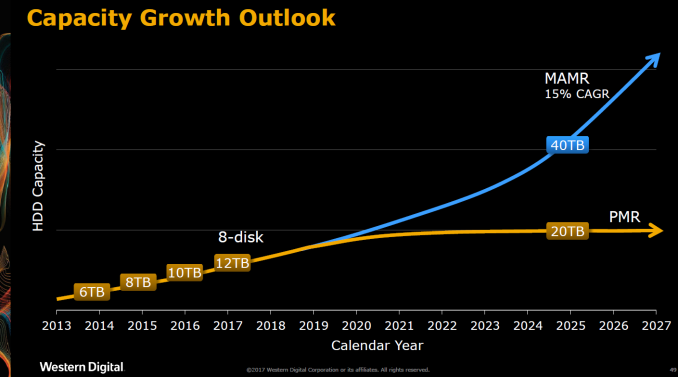 Meanwhile, the company’s 14 TB HDD will be more than just a capacity bump. With the 12 TB Enterprise Capacity (Exos) model, Seagate began to use TDMR (two-dimensional magnetic recording) technology to boost the read performance of the drives. The 14 TB HDD will take advantage of Seagate’s 2nd gen TDMR implementation. We can expect an increase in performance and/or other refinements. Toshiba has also been talking about its 14 TB HDDs since at least mid-2016 (investor presentation, page 22). As Toshiba does not produce advanced platters in-house, it will have to use SDK’s 9th gen PMR media for its upcoming 14 TB HDDs. 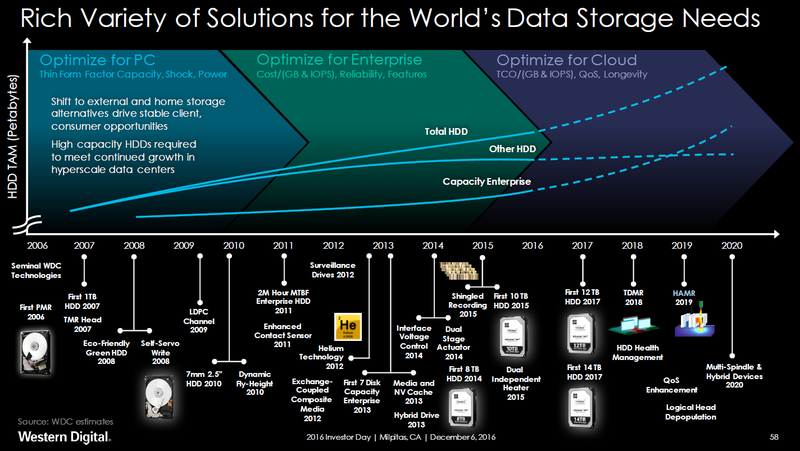 It is noteworthy that the company’s next-gen nearline hard drives are projected to be helium-filled models. This will enable lower power consumption compared to their existing 10TB products. 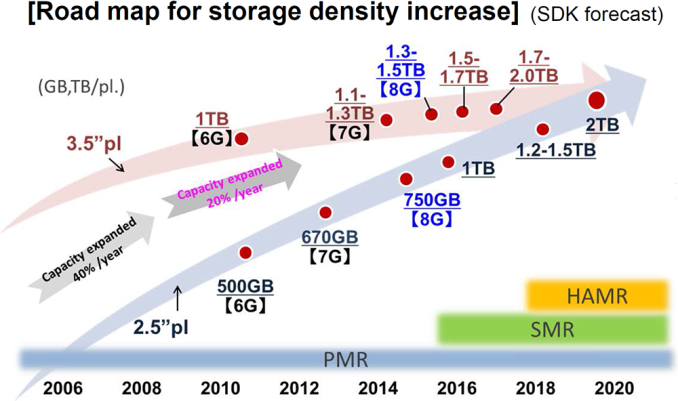 Assuming that Toshiba’s HDD roadmap has not been altered since 2016, we can also expect a helium-filled 16 TB nearline drive in late-2018. However, no details about that model are available at this time. Western Digital has not announced any plans for 14 TB PMR HDDs so far, but the company is committed to PMR evolution (based on its most recent presentation, pages 21 and 49) and it will be a surprise if it does not use its upcoming PMR platters for higher-capacity nearline hard drives. Meanwhile, one of the older Western Digital’s roadmaps (page 58) points to usage of TDMR in 2018. Since the company has ceased development of 10K and 15K HDDs for enterprises, the only candidates for TDMR are nearline hard drives, assuming that the roadmap has not changed. It is not PMR that's new to toshiba, it is the 9th generation of it. That first chart... why would GB/platter for 2.5" drives match that of 3.5" drives by 2019/2020 (or ever)?